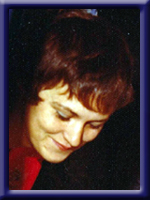 CONRAD – Jeanne Marie, 70, of Greenfield, Queens County, passed away peacefully on Monday, March 10, 2014 in Queens General Hospital, Liverpool. Born in Halifax, she was a daughter of the late Clyde and Alice (Joudrey) Dedrick. Jeanne was a former clerk with Hemeon’s Drug Store and a cashier at Dominion Store, both in Liverpool. She worked at a hair salon for a time before embarking on her own as owner-operator of “Meals on Wheels” sandwich truck. She was also co-owner and operator, with her husband Moyal, of a hunting and fishing lodge. She worked with her father at the Greenfield General Store then owning the store and changing the name to Jeanne’s Quik Mart and Canteen. She was also manager of Riverview Lures. She was a member of the Greenfield United Baptist Church. An avid reader, Jeanne loved her horror and suspense novels, along with bird watching, gardening and road trips with Moyal. Her love of animals included her cat, Oscar, and her two dogs, Bear and Sandy, along with her rescued cockatiels Honey and Boo Boo. She is survived by her husband Moyal, her daughter Crystal (Chris) Hagen of Greenfield, her son Moyal (Suzette) of Greenfield, her grandchildren Spencer, Brandon, Morgan, Quinten, Gabriel, Hannah and Joey, her sisters Margaret Joudrey and Kathy (Ronald) Ramey, both of Greenfield, Helen Mailman of New Glasgow, her brothers Wayne (Peggy) Dedrick of Fall River, Philip (Cindy) Smith of Bridgewater and Eugene Smith of Bridgewater. Many nieces and nephews. She was predeceased by her infant son Geoffrey and brothers Ken Smith and Clyde Smith. Please know that you are all in our thoughts and prayers. Jeanne was a wonderful person, when ever visiting her you always left happy. She will be missed. Love and Gods blessings. Aunt Jeanne was truly special and will be missed by all. Tina and I are so glad we got to visit with her last week, and give her feet a good rub. Our thoughts are with you at this difficult time. Moyal, Moyal & Sue, Crystal &Chris. and families, please accept our sincere condolences on Jeanne’s passing. You are lucky to have had her for a wife, mother and grandmother. I remember her as larger than life from the store in my childhood summers. Take peace in knowing her difficulties are over and cherish the good memories. Our love and prayers are with you all. Other than my own, I have never met a family that I have instantly felt part of until I met the Conrad Family. Jeanne has created this amazing family that is the foundation of the community and have made so many of us feel welcome in Greenfield. You will be missed by many Jeanne, rest in peace. Sincere condolences to all of Jeanne’s loved ones. Like so many others, her smile and laughter are forever a part of my childhood memories. I hope the memory of her laughter can comfort you all in this time of loss. To Moyal, Crystal & Chris, Moyal & Suzette, and families , please accept our deepest condolences on your Mom’s passing. The next few days will be hard but remember the fun times and all the memories you and your Mom shared. Hold each other in this time of sorrow and keep near to friends. Moyal – Crystal – Moyal – Our deepest sympathies to you and your families in this time of loss – Although it was many many moons ago, our families shared some wonderful times together and those memories will never be forgotten. Sorry for your loss, but please try to take some comfort in knowing that she is never really gone as she is a part of you, and your children and lives on in each of you and your memories. Our Deepest Sympathies Shannon, Kevin, Terry. Very sorry folks you are in my thoughts & prayers much love. Sheridan. My sincere condolences to the family. May your memories bring you strength through this difficult time and comfort in the future. Please accept our sincere condolences at this difficult time. Please accept our condolences. Our thoughts are with you. Our deepest sympathy to Moyal Sr., Moyal & Sue, Crystal & Chris and all the families. We are so sorry for this devastating loss to your families. So sorry to hear the sad news. Keep her memories close to your heart and she’ll always be with you. My heartfelt condolences to you all. Jeannie was a lot of inspiration to me – she was a woman of great strength and gentle spirit. My prayers for peace, understanding and healing for each of you are lifted in her honor. So sorry to hear of Jeanne’s passing. Our thoughts and prayers go out to you and your family during this difficult time. Moyal Sr, Moyal Jr, Suzette, Crystal & Chris and family. Our thoughts are with you as we express our sympathy and condolenses. Your Mom was a very nice person and always pleasant. We are sending our sincerest sympathies to all the Conrad Families. Remembering Jeanne with fondest memories at Jeanne’s Quickmart. Praying for Peace and comfort during this difficult time. Moyal and family. I am so sorry to hear of your great loss. My thoughts and prayers are with you and all of your family at such a very difficult time. Garnett and I are thinking of you all during this difficult and sad time. We are so sorry for your loss of your loved one. If there is anything at all we can possibly do just let us know. Am thinking of you and sending good thoughts your way. My sincerest condolences on the loss of your sister. Scott and I are so sorry for your loss…. Sad day for everyone.. Our thoughts and prayers go out to all her family and friends at this sad time…. We are so sorry for your loss. I always enjoyed our times we had together. Our sympathy to the family. Thinking of you. So sorry for you loss, our thoughts and prayers are with the family. To Jeanne’s family, John and i send our sincere condolences .on the loss of your wife and mother . We are sorry for your loss. I enjoyed many happy times at Riverview lodge with your family. to Moyle and family I would like to send my condolences on your loss. I am sure Jeannie’s smiling face will be missed by many and wish you well at this tough time. Dear Moyal and Family – I am so sorry for the loss of your beloved wife, mother and grandmother. She has left many memories behind her for you to hold close. Please accept my deepest condolences. The staff of LRB Fabricatiors would like to extend our sympathy on the loss of your mother. May your memories keep her close to you in spirit, thought and your heart and help you through this time of sorrow. Moyal, Moyal, Suzette, Brandon, Quentin, Crystal, Chris, Hannah, Gabe, Morgan and Spencer, Our thoughts go out to you at this time. I have many fond memories of growing up with Jeanne. She was a wonderful person and will be missed by us all. May your memories bring you comfort at this time. We were very sorry and sad to read of Jeanne’s passing. Our thoughts and prayers go out to you and please accept our condolences. Sending our heartfelt condolences to the family at this very sad time. Such a great loss, Jeannie will be missed by all who knew her. Sending our sincere sympathy to the family; our thoughts and prayers are with you . I was shocked to arrive home from Halifax this evening to learn of Jeanne’s passing. Please accept my sincere condolences and know that my thoughts and prayers are with you all. I really missed Jeanne’s ready smile and laughter at the store in Greenfield after you sold it. I know she will be missed by all who knew her. Take comfort in the knowledge that her difficulties are over and try to remember the good times. Our deepest sympathy to you and your family on the loss of Jeanne. Moyal, Crystal & Moyal J.
I was so sorry to hear of my friend Jean’s passing, will be thinking of you all during this sad time. Moyal,Crystal and Moyal junior and family. Thoughts and prayers are with you guys. Ma was like my other mother and i am so happy to have gotten to know her. She was Beautiful, kind ,thoughtful and full of life. She will always be in my heart and my thoughts. From my family to yours Deepest sympathy is sent your way. So sorry to hear of your loss. We remember Jean as a grand and awesome lady. She always shared a smile with you and we had some wonderful visits with her when we delivered her milk order. She was an unforgettable lady who left a lasting impression and wonderful memories with those who had the privilege of knowing her. We offer you our most sincere sympathies as we remember your family in our prayers. My sincere condolences for your loss. I will be thinking of you during this difficult time. So sorry to hear about Jeanne. My thoughts and prayers go out to Moyal and family. Condolences on your loss. Moyal and family we are so sorry to hear of Jeanne’s passing. We had some good times together years gone bye. Her big smile and heart will always stay with us. Our deepest sympathy and prayers to you and your family. We’re saddened to hear of Jeanne’s passing. Our thoughts and prayers are with the entire family at this most difficult time. sincere sympathies to the family on the loss of your loved one. My heart goes out to the family. Jeanne was a very special lady. While I lived alone in Greenfield, I will never forget the time I saw Moyal and Jeanne at out-patients in Liverpool. I was there for some medical tests. Later that day, Jeanne sent Moyal over to check on me and to let me know I was not alone as they were just a phone call away if I needed anything. I never forgot their kindness that day. Jeanne will be sadly missed but fondly remembered by all that had the privilege to know her. Hold onto each other and your special memories to help you through the difficult days ahead. We can’t begin to imagine the loss that you are feeling. Please know our thoughts and prayers are with you today and in the days to come. Our thoughts are with you at this very sad time, so sorry for your loss.